VANCOUVER — The best way to describe just how close last season’s youthful UBC Thunderbirds’ women’s basketball team came to achieving a breakthrough campaign would be to imagine longtime head coach Deb Huband holding up a hand with her thumb and index finger about an inch apart. Yet when you preface last season’s 10-10 conference record with the fact that those ‘Birds were a team without a single fourth- or fifth-year player on its roster, then remember that they got to .500 in the conference by winning six of their final eight regular season games, you arrive at this weekend’s opener with one very solid conclusion. For the first time since losing its all-time scoring leader Kris Young to graduation following the 2014-15 campaign, the UBC Thunderbirds look ready to start fashioning a string of seasons with escalating win totals. It was back in that 2014-15 campaign where UBC went 17-3 in the regular season and won the Canada West Final Four, before losing to McGill in the national semifinal and eventually finishing third in the country. Ever since, UBC has taken turns dipping and rising, going 9-11 and then 16-4 the following two seasons before last season’s 10-10 mark gave them ninth place among a field of 12 conference playoff finalists. In each season since Young’s departure, UBC has been swept in the conference quarterfinals. In keeping with the theme of being almost there a season ago, last season’s team took turns flashing both its youth and its emerging talent. 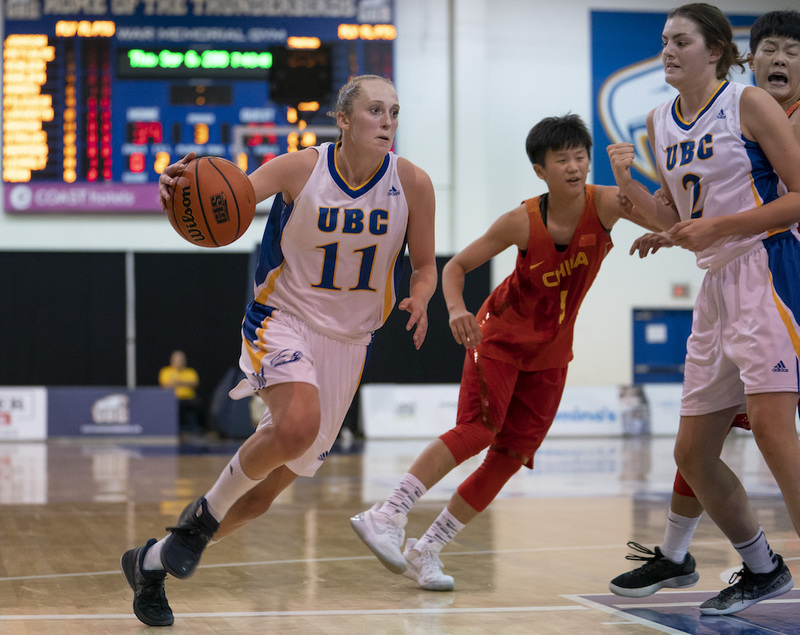 On its conference-opening road swing, UBC was crushed 64-35 on the first night of a two-game set in Calgary, but then came back on the second to beat the Dinos 62-59. 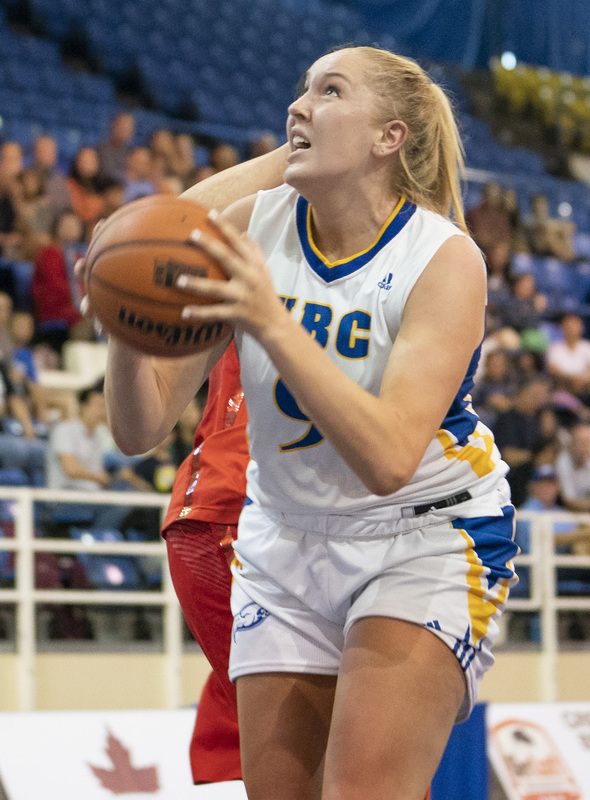 UBC’s opening-night point total was matched in the second game by just one of its players, as rising fourth-year guard Maddison Penn scored 35 points on her own. Later, UBC came back from the holiday break to win their first six straight games before falling 76-74 and 77-73 in a home-and-home series with Victoria to close out the regular season. As a part of their evolution, UBC not only has a much greater sense of itself as both a five-player unit, but also as one with a much more assured and capable rotation. The biggest change to its current state of increased balance and depth can be found right at the top of the scoring ledger. The incredibly-talented Penn, an Australian native, pushed her scoring average up almost a full point last season to 18.8 ppg, but the best part for her team, was the fact that the Virginia Tech transfer pushed her rebounding average up 4.2 caroms per game to an even 10.0 rpg, not only averaging a double-double, but increasing her presence at the same time that 6-foot-1 rising third-year post Keylyn Filewich was putting up numbers that made her one of the most improved players in the nation. Filewich distinguished herself as one of the most effective inside players Huband has had over her 20-plus seasons at the helm, going from 8.7 points and 6.0 rebounds as a freshman, to 16.2 points and 8.3 rebounds last season. As Huband says, it’s been about the ways in which all of her players have had to learn to channel their skills within the context of the team’s systems, including the powerhouse Penn. Filewich, too, has seen her game spike, and the biggest challenges she will face this season come from the increased scrutiny she will draw as opposition coaches game-plan specifically to stop her down low. And if Penn and Filewich come into the season with key, defined roles, so too does Vancouver native Hanson, the 5-foot-9 guard who vast two-way skill set looks to be in its best environment yet to propser. Filewich, as well as guard Ali Norris and Gabrielle Laguerta form the core nucleus of the team’s third-year talent. 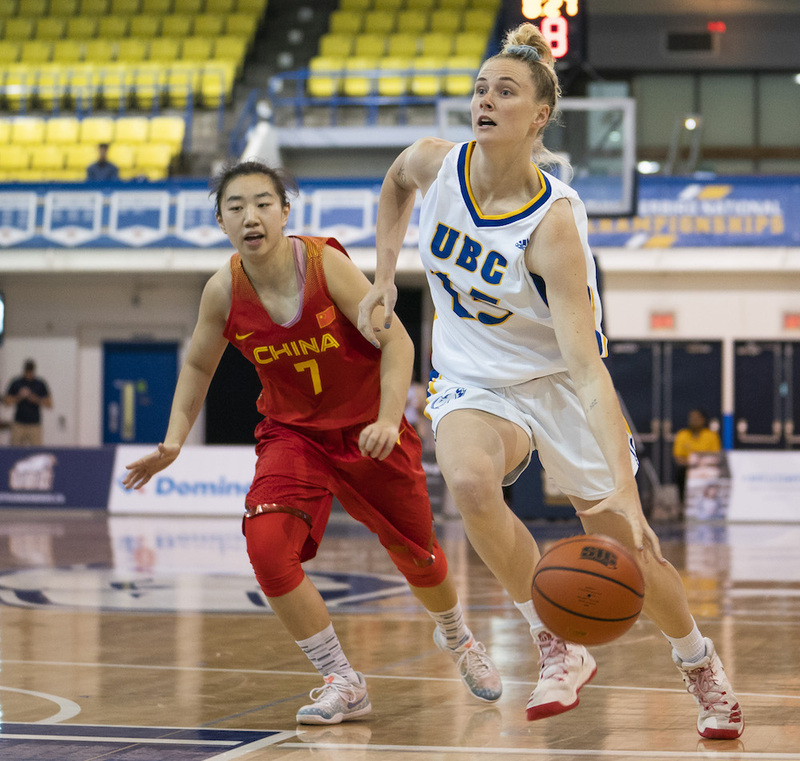 Norris’ tenacious on-ball defence as well as her natural ease handling an up-tempo offence make her a valuable part of the starting group, while Laguerta’s ability to hit from the outside gives UBC inside-out integrity more depth. Among the second-years, small forward Madison Legault brings a workaholic beginner’s mind to the small forward spot, and her thirst and passion to learn and excel helped her start every contest in the preseason. “She is one of those who rolls up her sleeves and battles,” said Huband. Among the newcomers, at least a pair seemed poised to get a chance to show what they can do. 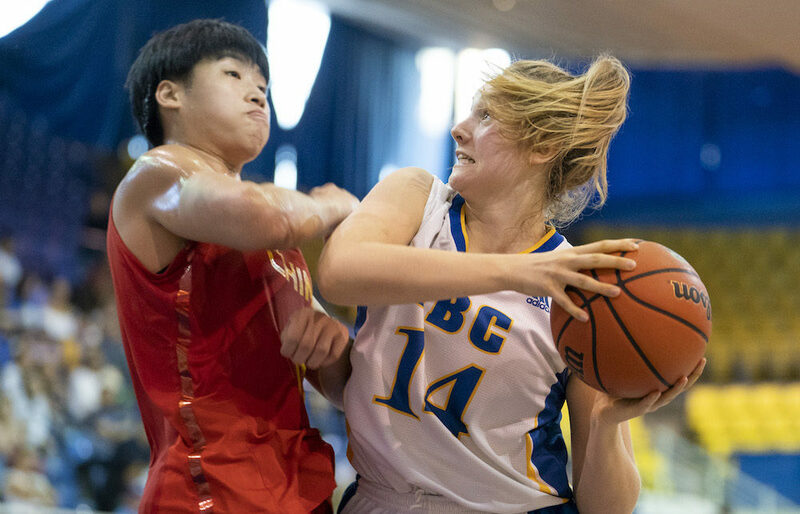 Kate Johnson, a 5-foot-7 guard and UBC Okanagan transfer, is a dynamic athlete with an innate sense of timing and huge hops. “She is a unique athlete,” says Huband of Johnson, who has played a first guard-type role off the bench over UBC’s impressive 6-2 preseason. As well, Hailey Counsell, a pure freshman from Port Moody’s Heritage Woods Secondary, has seen her length and her athleticism find favour in the early days of her U Sports career. When the Birds closed out their exhibition campaign last Saturday with a 69-59 win over Lethbridge, Counsell, in 13 minutes, went 4-for-4 from the floor for eight points, adding three steals and a pair of rebounds. The Canada West’s preseason poll won’t be released until Wednesday morning. Just where the ‘Birds will sit is anyone’s guess. It’s all about the games themselves, however, and the blue-and-gold will get about as big a challenge as they can find for a Week 1 battle when they face the Huskies both Friday (6 p.m.) and Saturday (5 p.m.) at War Gym. Yet after a few patient seasons of measured progress, there is a heightened expectation that the 2018-19 season is themed around taking a big step forward. “As the younger players have grown, there is more recognition placed on how the parts need to work together to develop chemistry and trust, offensively and defensively,” Huband begins. “And everybody has evolved to have a better understanding. (UBC’s men’s team follows against the Huskies at 8 p.m. and then 7 p.m. Friday and Saturday respectively).